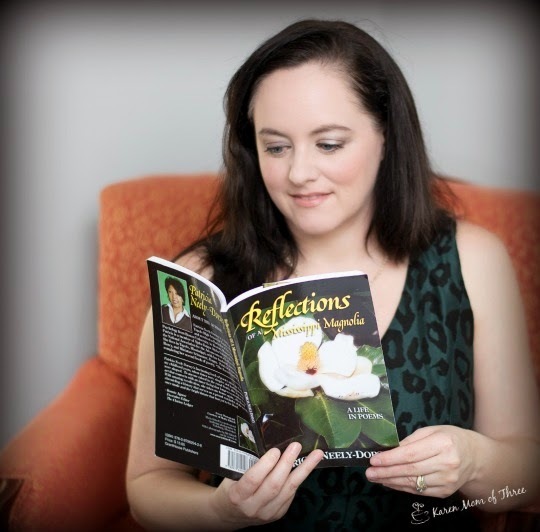 In November Author and Author-Poet-Speaker Mississippi Goodwill Ambassador Patricia Neely-Dorsey contacted me and asked me if I would like to read her poetry books about Mississippi. I may seem an odd choice as a Canadian to be reviewing this book but Patricia assured that when I finished reading her poetry I could consider myself an honorary "Southern Belle". Growing up I loved watching designing women and I love Southern Cozy Mysteries so I gratefully accepted. 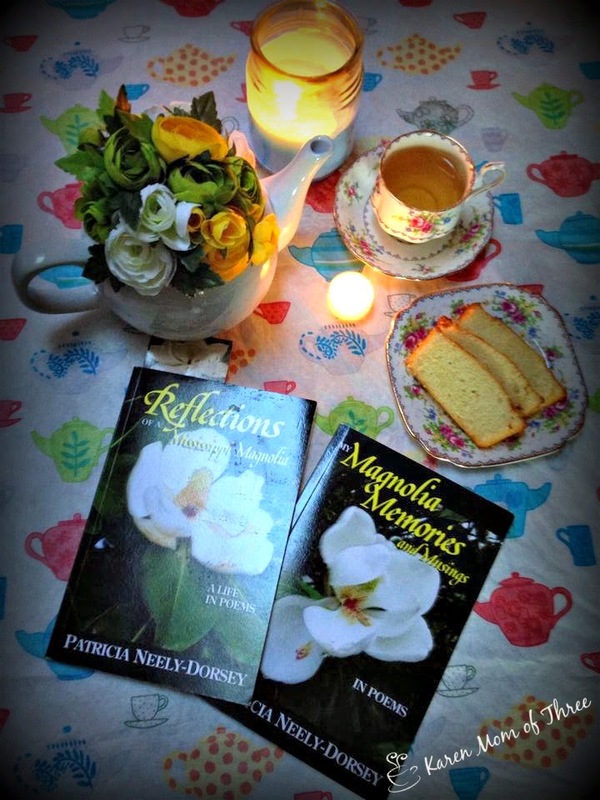 Patricia kindly sent me both her books Reflections of a Mississippi Magnolia and My Magnolia Memories and Musings, and I tucked in for some wonderful written poetry. 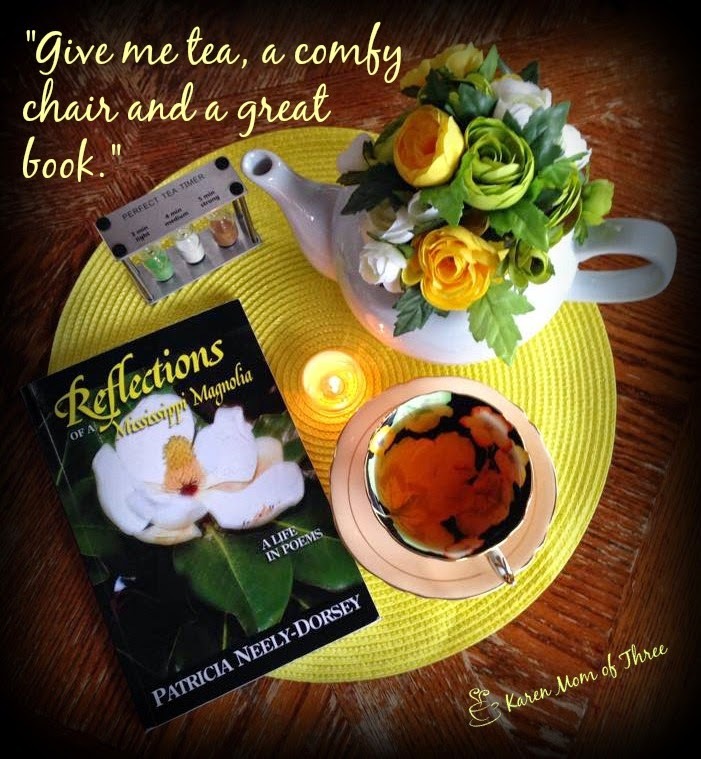 Patricia's passion and love for Mississippi comes through in each and every word she writes. Immediately I felt transported to a place that feels like home and yet I have never been there. Warmth, Charm and Style of the South can be found on every page and Patricia's words transcend the miles between us. I felt my blood pressure drop when I read her words. Transported with each pause, enveloping me with Patricia's lovely Mississippi imagery. I enjoy having these books on my table and taking time to read and savor each one slowly re reading and committing them to memory and heart. 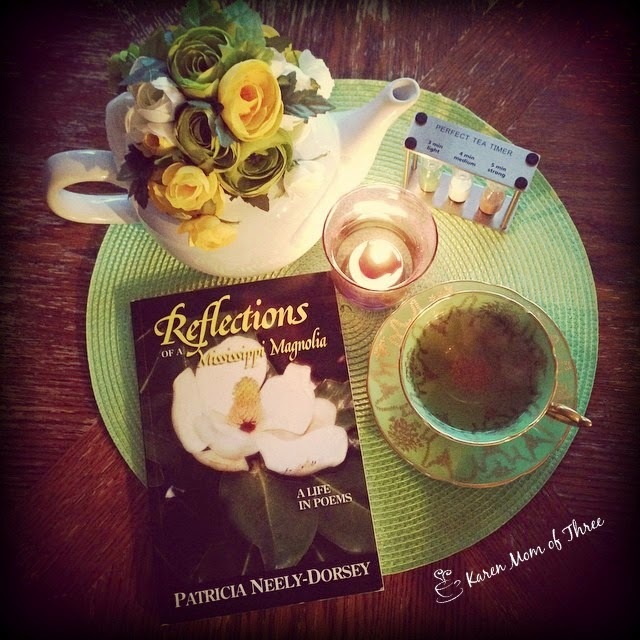 April is poetry month and I can highly recommend Reflections of a Mississippi Magnolia and My Magnolia Memories and Musings by Patricia Neely-Dorsey. You can find out more about her poetry and work by clicking here. 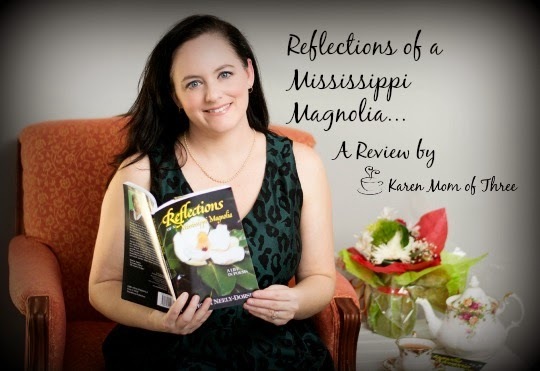 To order your own copy of Reflections of a Mississippi Magnolia please click here. 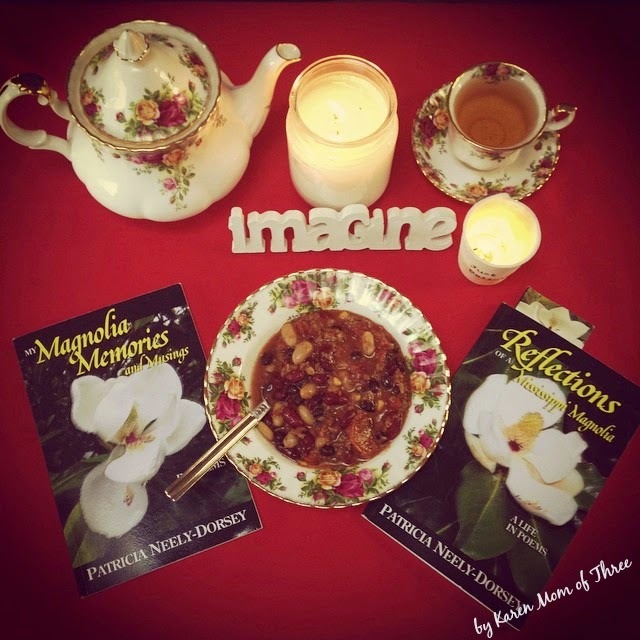 To order your own copy of My Magnolia Memories and Musings please click here. Thank you for joining me for A Cup of Tea and Some Cozy Poetry. Thank you for the post highlighting poetry. I enjoy poetry so I'm always on the lookout for new poetry authors. Ill be ordering these books of poetry. You have a ice cozy blog! I think you will really enjoy the books ! I also love Karen's blog ! Please do let me know what you think ! Heading To Malice? Take Me With You! 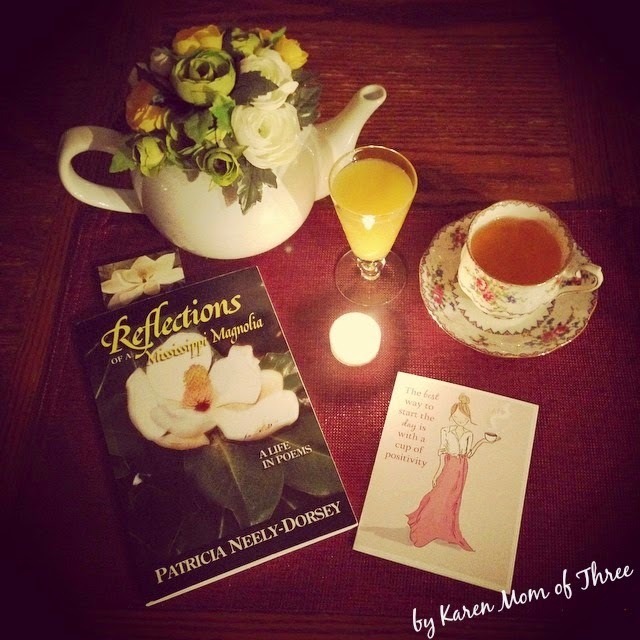 April Tea And Book Mark Give Away!